French crème pâtissière base and egg whites beaten to a soft peak meringue. The base provides the flavor and the whites provide the "lift/puff up". 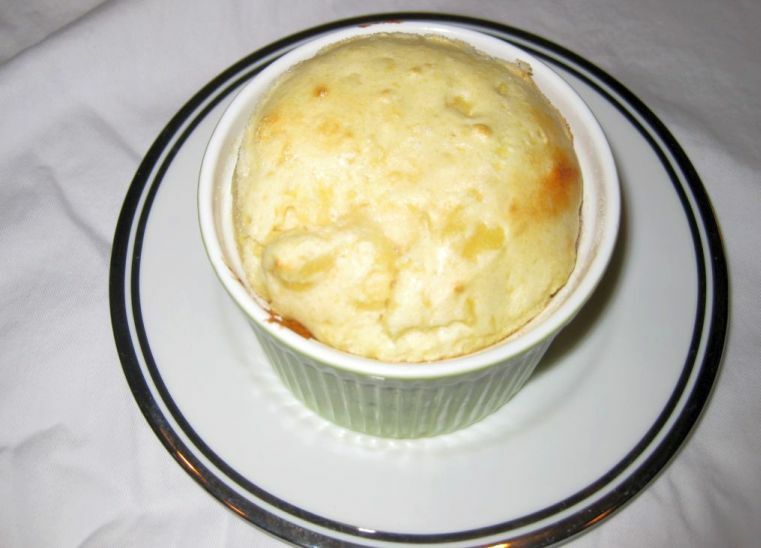 When the soufflé comes out of the oven, it should be puffed up and fluffy, and will generally fall after 5 or 10 minutes so you need to serve it right away. 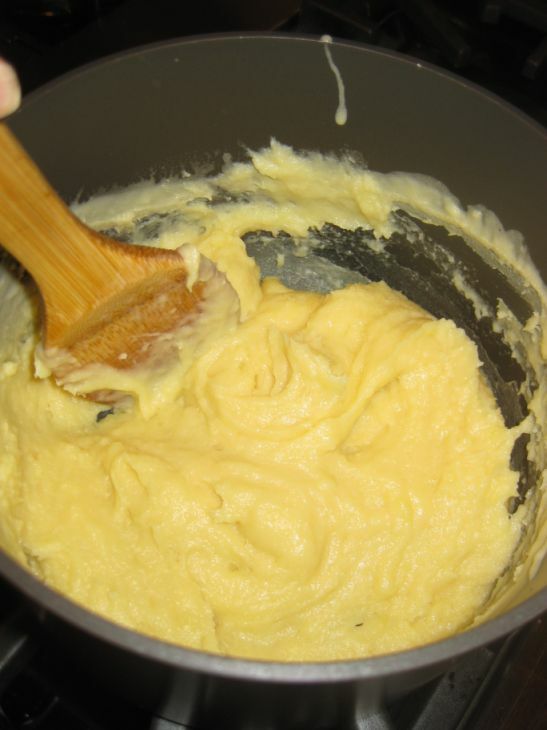 Soufflé are not difficult to make all you need to know is when beating the egg whites is all about science and it's physics and chemistry that make a soufflé rise or fall. 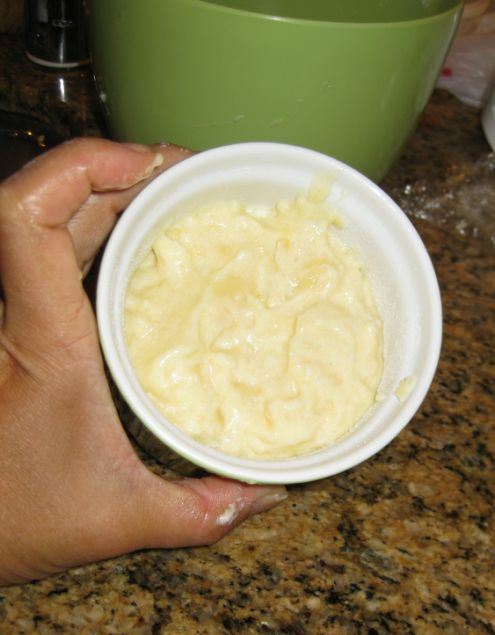 When you beat egg whites, you're basically mixing air into them. 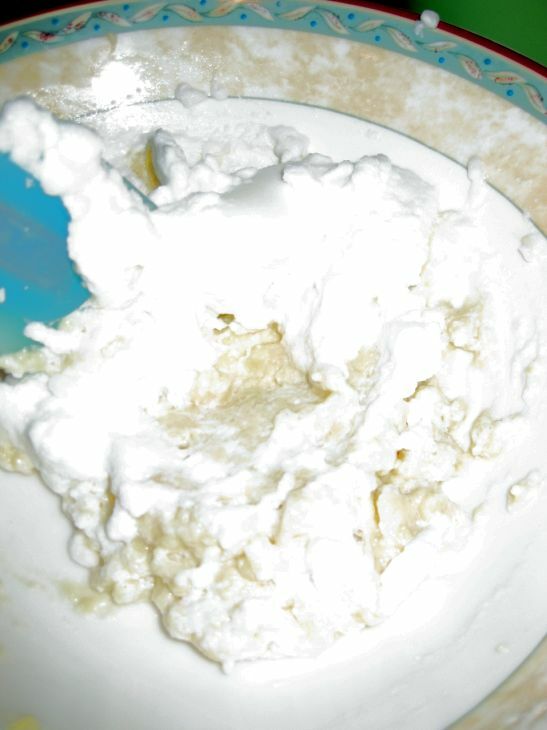 The protein in the egg whites forms a kind of skin around the bubbles of air. But if there's any fat (egg yolk) present, the skin can't form and the air leaks away. Even a trace of fat is ruinous. 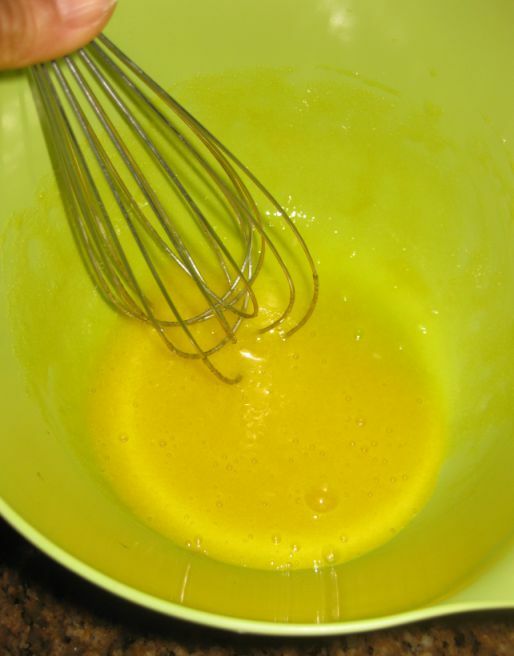 So, make sure when you are separating the egg white from the yolk, there is no trace of any egg yolk in there if you want your soufflé to rise properly. 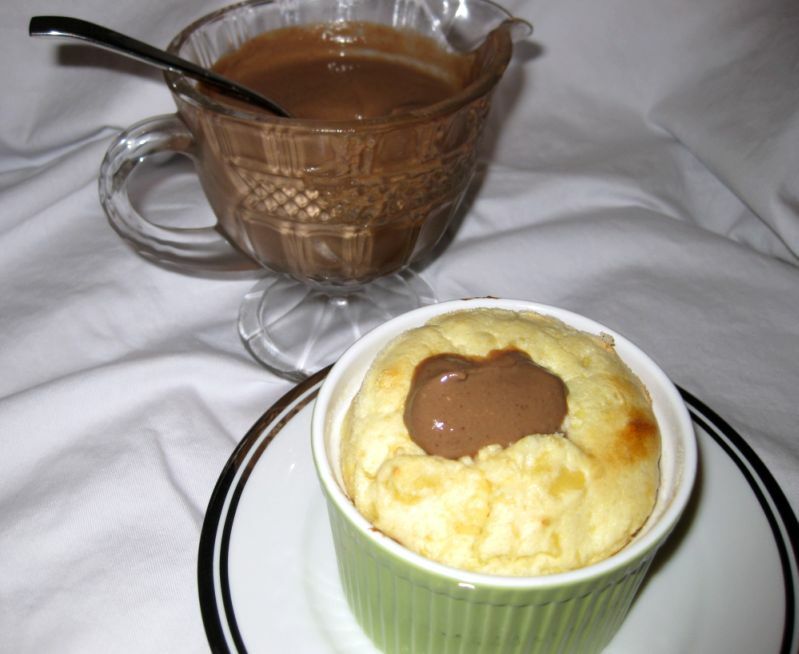 Home cooks are wary of attempting soufflés, which have the reputation of being difficult and temperamental and so are relegated to being eaten only in restaurants. The reality, however, is that they are relatively easy to make. Platting my soufflé right out of the oven.. Remember you only have about 5 minutes before they are collapsing. 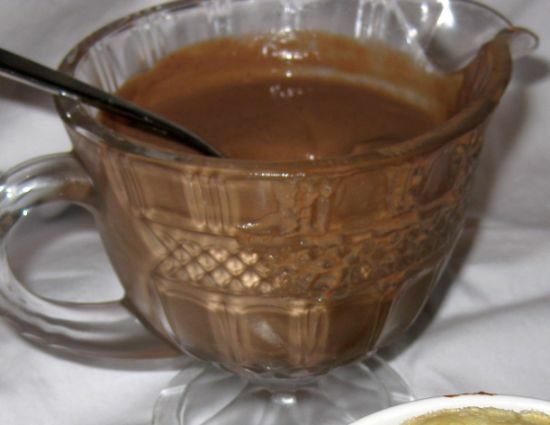 Crack the top open with a spoon and pour the cold chocolate crème Anglaise on top and serve immediately. I like the combination of cold cream against the hot soufflé but some people like the crème Anglaise to be hot so it is just a matter of taste. 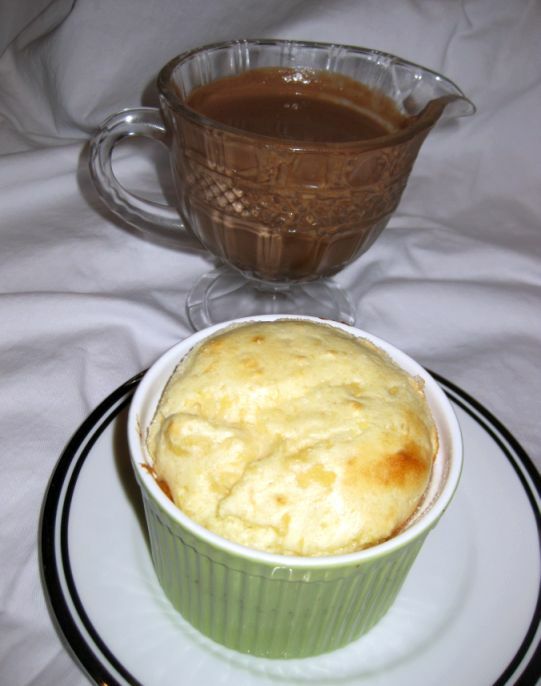 The best soufflés have a crusty top layer above the rim of the dish and a contrasting rich, creamy, almost-fluid center. How good was it? 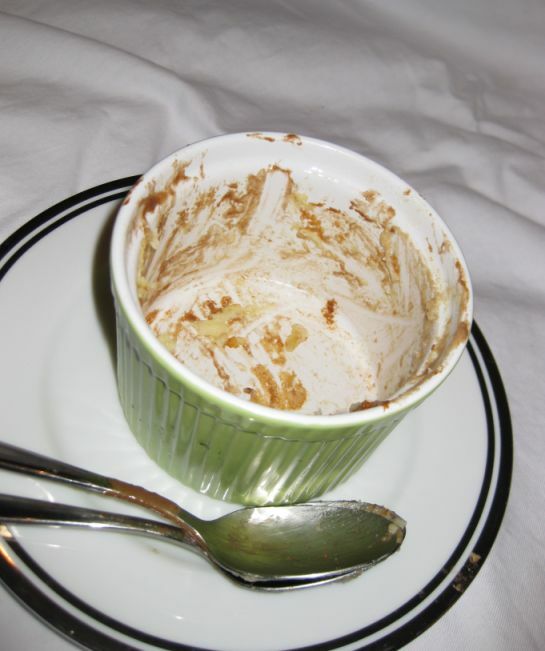 simply delicious, there is nothing left afterwards. 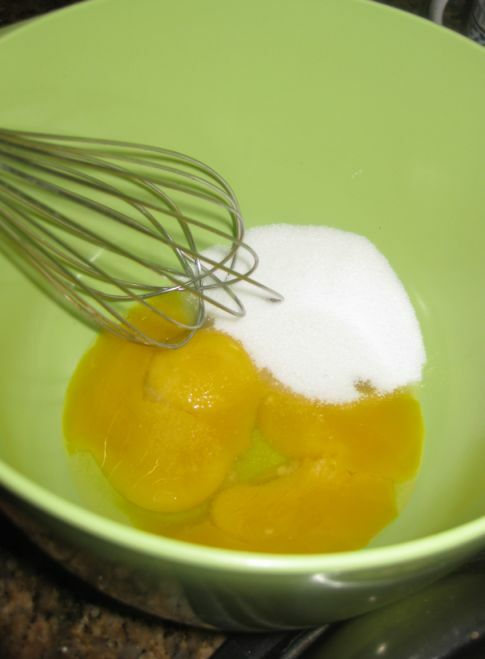 Put the Egg yolks, salt, and sugar together in a large bowl. 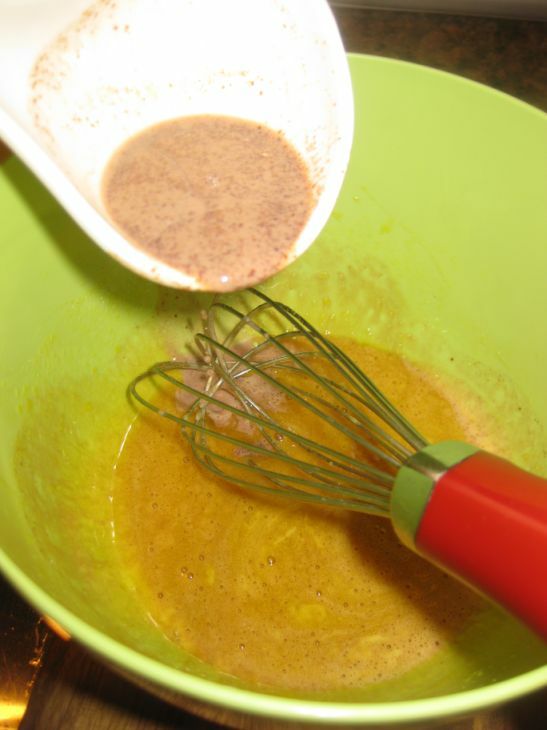 Whisk it together and set aside. 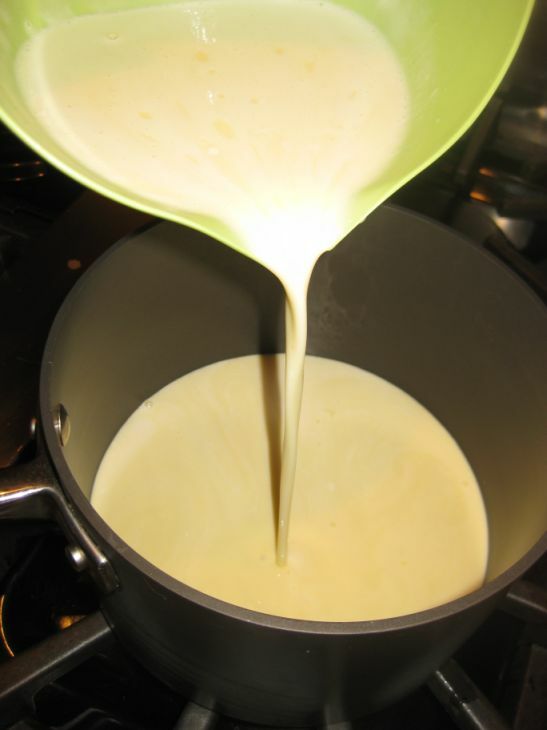 Heat the milk until bubbles form around the edge of the pan. 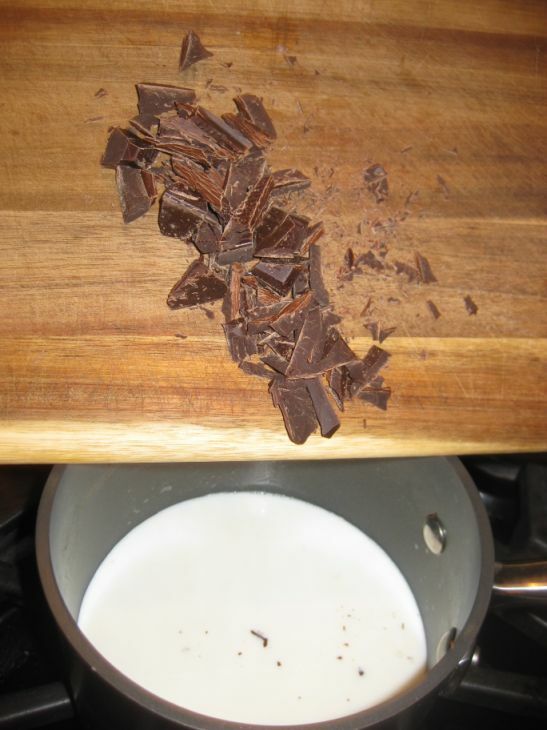 Chopped the chocolate and pour it into the pan. 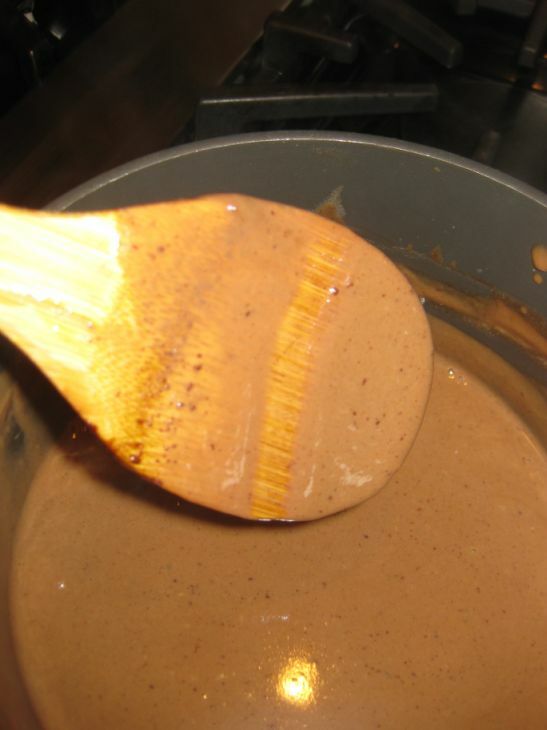 Stir until the chocolate is melted. 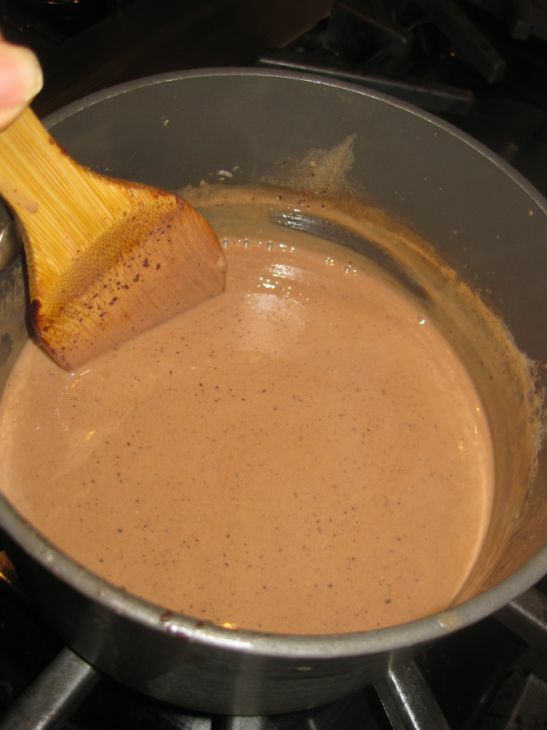 Slowly pour the chocolate milk into the egg mixture. 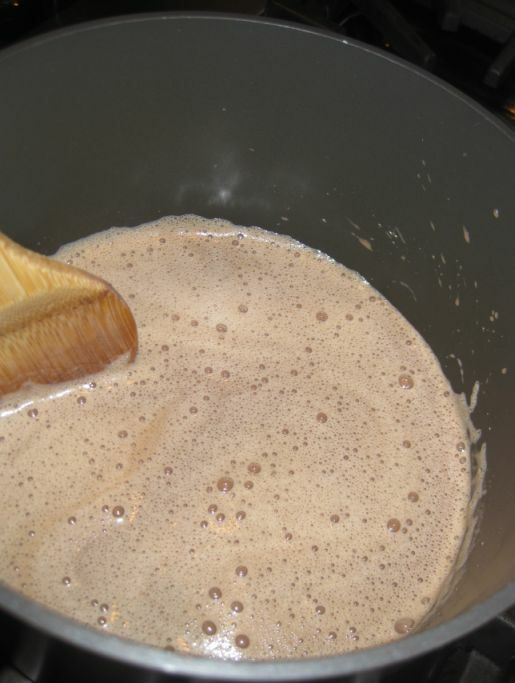 Keep stirring until all the milk is used. 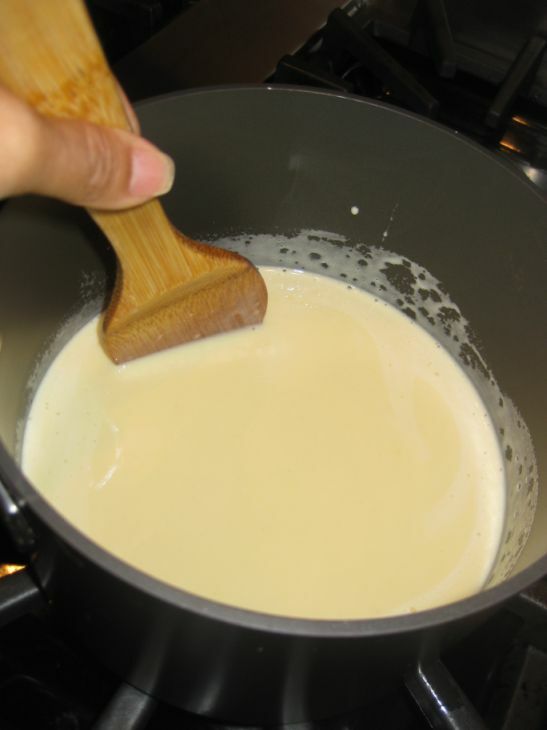 The crème Anglaise needs to coat the back of a spoon as seen in this picture. 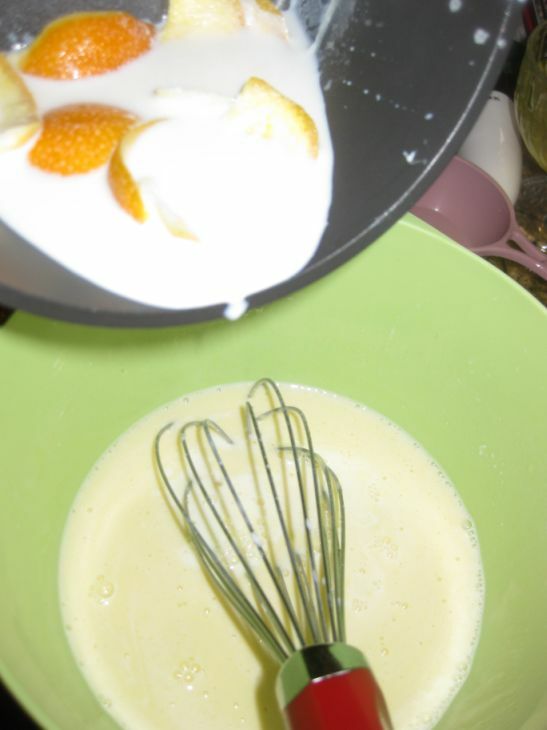 Pour the crème Anglaise into a container and let it cool down. Once it is a room temperature refrigerate until ready to serve. 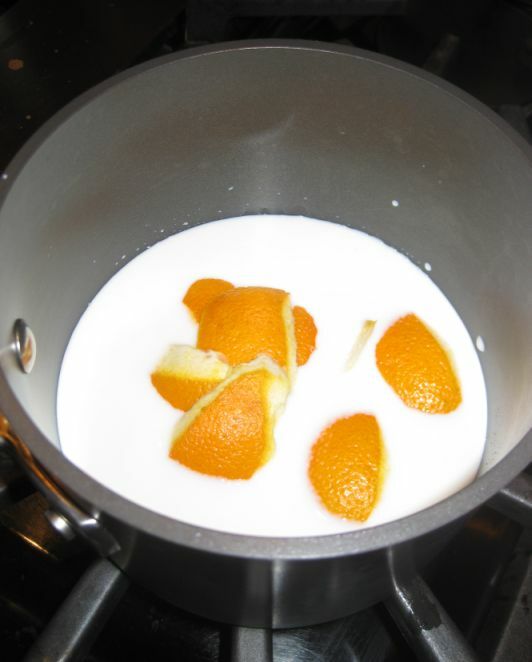 In a sauce pan combine the milk and orange peel and place over medium heat until small bubbles appear around the edges of the pan. Remove from heat and let steep for about 10 minutes. 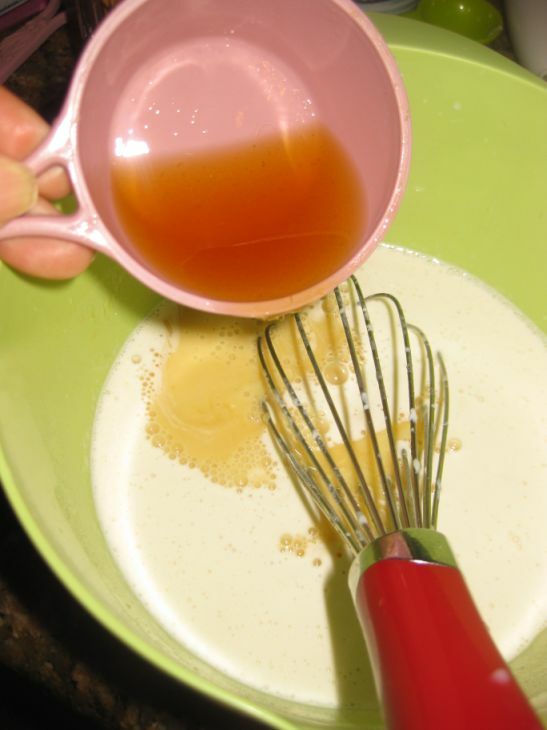 While whisking constantly, pour the milk into the egg mixture in a slow steady stream. Pour back the mixture into the pan. It takes about 2 to 3 minutes to be thick. 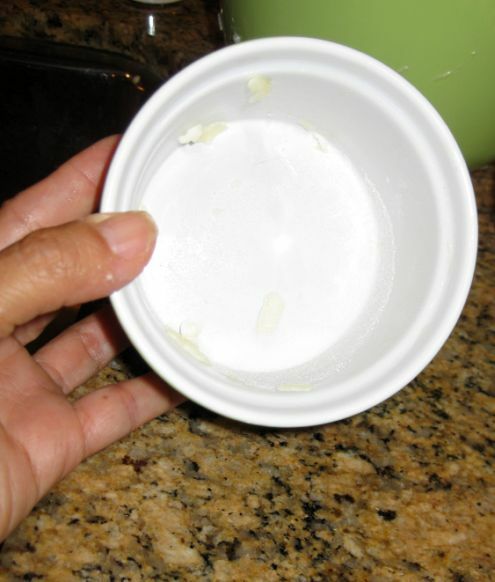 transfer the soufflé base to a clean bowl and cover with plastic wrap, pressing it directly onto the surface. Refrigerate until ready to bake. 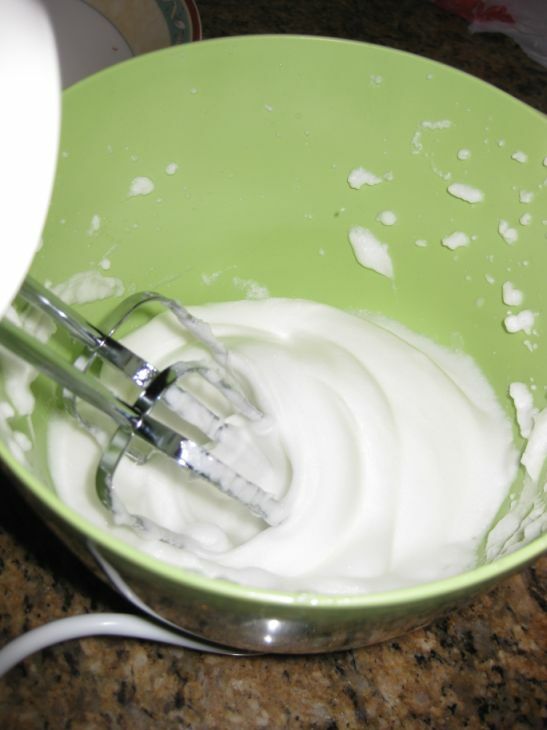 Put the egg whites in a bowl and whip until frothy. 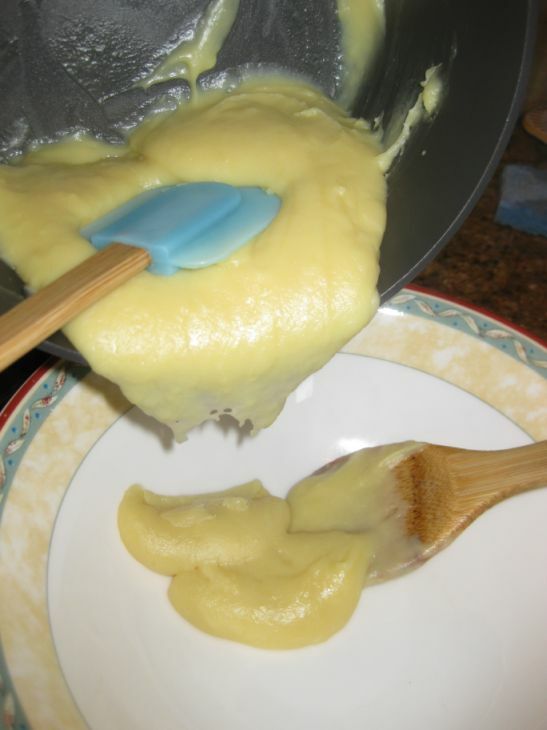 Add the cream of tartar, increase the speed to high and whip until stiff but still glossy. 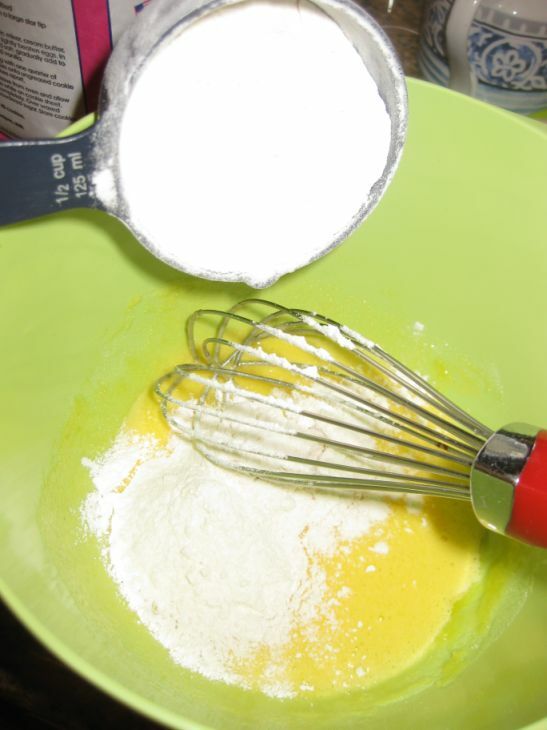 Using a spatula gently fold the egg whites into the soufflé base in 2 additions. Butter 4 to ramekins depending on the size and dust with granulated sugar, tapping out the excess. 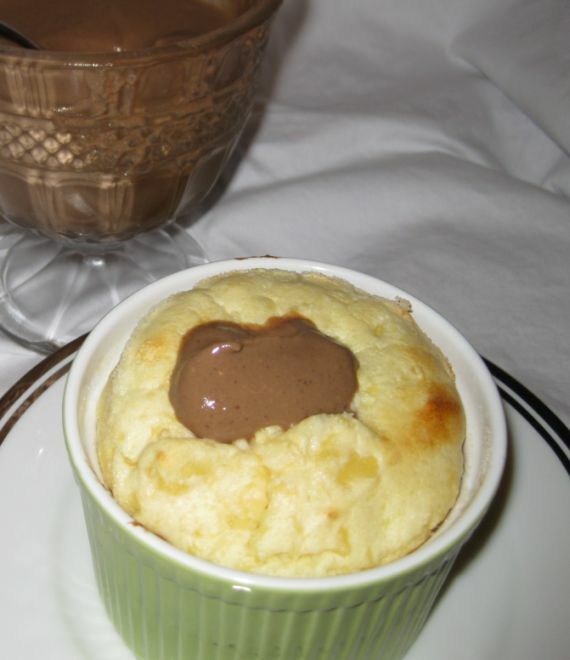 You can also use a 2 quart soufflé dish and make it just one large soufflé instead of individual soufflés. Gently spread the mixture about 2/3 in the prepared ramekins. 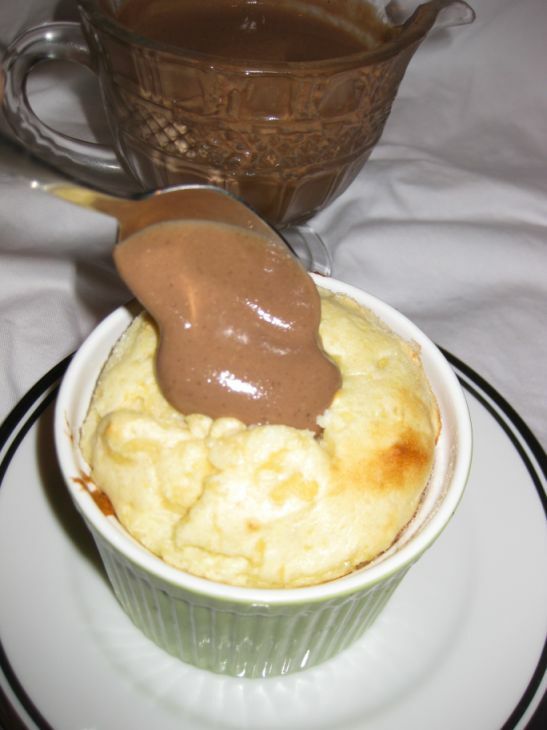 Lightly tap the soufflé dish on the counter to remove any air bubbles. 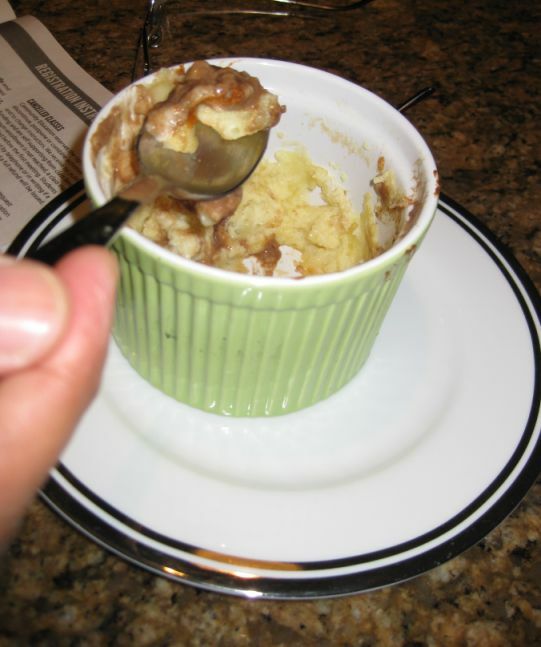 Bake for 20 minutes for individual soufflés or 55 minutes if you are using the 2 quart dish. Freshly out of the oven... noticed how the soufflé is puffed up to rim. Served it ASAP if you linger the soufflé will deflate.